N 12° 23' 14" and E 43° 20' 4"
Khôr Angar in Obock is a city in Djibouti about 57 mi (or 91 km) north of Djibouti, the country's capital. Local time in Khôr Angar is now 08:19 PM (Friday). The local timezone is named Africa / Djibouti with an UTC offset of 3 hours. We know of 8 airports in the vicinity of Khôr Angar. 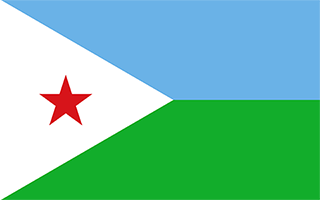 The closest airport in Djibouti is Obock Airport in a distance of 29 mi (or 47 km), South. Besides the airports, there are other travel options available (check left side). Depending on your travel schedule, you might want to pay a visit to some of the following locations: Obock, Dhubab, Tadjoura, Djibouti and Assab. To further explore this place, just scroll down and browse the available info. Let's start with some photos from the area. Seven Brothers, Sawabi Islands or Seba Islands is an archipelago in the Dact-el-Mayun section of the Bab-el-Mandeb strait. They belong to the Obock District of Djibouti, and are a notable diving site. Even in English publications, the group is often called by its French name, Sept Frères. Located at 12.4606, 43.4242 (Lat. / Lng. ), about 8 miles away. Located at 12.4753, 43.3217 (Lat. / Lng. ), about 6 miles away. Sedorre is a town in the northern Obock region of Djibouti. Located at 12.3667, 43.1833 (Lat. / Lng. ), about 10 miles away. Located at 12.4333, 43.3 (Lat. / Lng. ), about 4 miles away. Located at 12.5183, 43.2986 (Lat. / Lng. ), about 9 miles away. Located at 12.4696, 43.3083 (Lat. / Lng. ), about 6 miles away. Kaḏḏa Dâbali Island, often called Big Island, is a rocky island off the coast of Obock Region of Djibouti. Located at 12.471, 43.43 (Lat. / Lng. ), about 9 miles away. These are some bigger and more relevant cities in the wider vivinity of Khôr Angar.